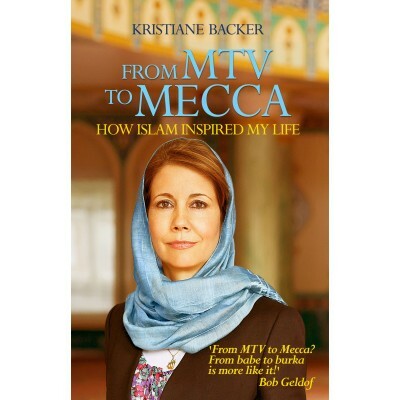 From Mtv to Mecca as is evident from the name is a journey of PEACE that transcends from Glossy,Glittering,Glamerous Nights of Showbiz to serenity,Peace,religion and selflessness.Though the title depicts a “Poles away “ subject but in fact the MTV Presenter Kristiane Backer paved an easy way to everyone reading it.With that diverse spectrum of subject,one can imagine a complexity but the book isn’t a bumpy ride of intellectual exercise for the reader rather it’s a calm,pause pleasing and at the same time a page turner type of book. The Author has completely but not complexly described her journey as when she was a showbiz Mogul to the time when she embraced Islam through many friends one of them is a Pakistani.At one time the Author and Pakistani were all set to marry but things didn’t work like that.That’s a part of the story though not to be missed. The book encapsulates tiny religious details and when I was hovering over the book I was confused at times as how a converted Muslim was able to identify and research those minute details regarding Islam.At one point you will think that the book is by a famous religious scholar of World but then you will recity and say o No the author is a Pakistani,but you realize that Kristiane backer belonged to germany and is a converted Muslim. Her Merital life is also discussed in the book.The tough and painful part of the book comprises of this topic.The interesting thing is that her first marriage didn’t work but winded up in a peaceful calm way but the second adventure regarding marriage was a painful story for her when both loved each other but the over necessary conservativeness of her Husband(In her opinion) lead to disaster. The famous 9/11 is also discussed and the horrific impact of the incident on Muslims living in east is also readful.I and more importantly the author believes that this misadventure wasn’t any sort of service to muslims rather it was dreadful to muslims and the world over.Islam means peace,He who violates it,misses the true spirit of religion. The masterpiece covers the religious sacred journey of Mecca twice once for umrah and the other for hajj. Although one can differ but I can safely say that this book covers the dark side of some of the muslims,those who are muslims and even practicing one but not following the true spirit of islam.I would like to wind up with an incident that Backer quoted that once she took her friend Bob to a sufi gathering led by Sheikh Nizam.Bob listened to the sermons and that evening ended.Some days later,bob reached the place of Kristiane Backer and showed her the newspaper that was supposedly saying that”Bob has embraced Islam”.That saddened Kristiane as why the speculators decided to do this.One of the followers of Sheikh took the picture of Bob and sent that to newspapers.Bob obviously was poisioned by this act of a Muslim.It also affected his PR. The reason why I chose this incident is nature of my fellows on social media.They see a rumor,mostly about someone famous converting to islam and then share it without any research.We must get to know of importance of truth. The Pakistani who was about to marry Kristiane Backer was none other than Imran Khan.